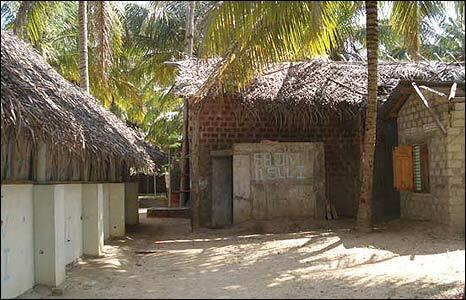 The camouflaged bunker is located in a coconut grove in Mullaittivu district, the ministry says, describing it as the "main rebel hideout" and "a major residential site" of Mr Prabhakaran. Military officials say that the captured two-storey bunker has sound-proof electricity generators, air conditioning and medical supplies. 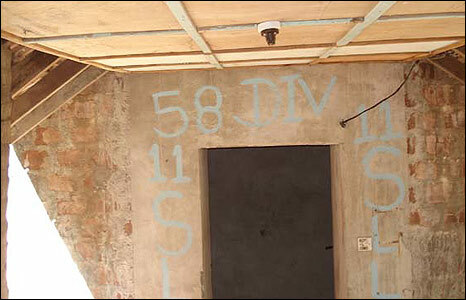 They say that it is fully air conditioned and consists of four furnished compartments and tiled floors, along with surveillance cameras at the entrance of the complex. 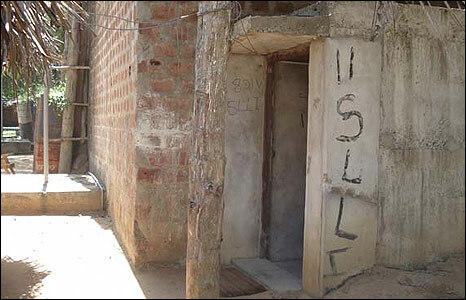 Sri Lankan officials say many weapons were discovered at the complex. 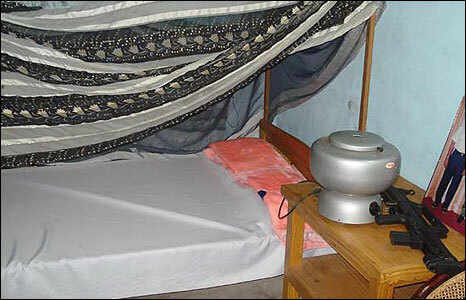 Independent military experts contacted by the BBC said that the weapon by the bedside is a Russian-made assault rifle. 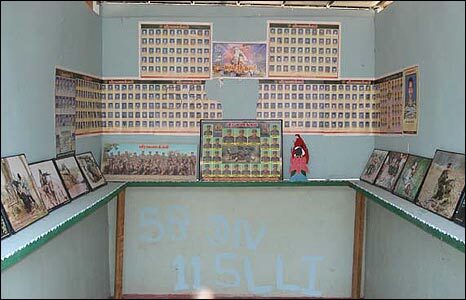 Discovered in the bunker, officials say, is a shrine-like room with photos of dead Tamil Tiger members. 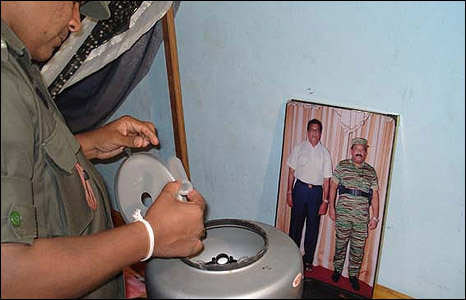 In another room they say they found a stuffed tiger and personal correspondence of Mr Prabhakaran. The defence ministry says that at least 20 rebels were killed trying to defend the facility and another 32 died in fighting on Monday. There has been no comment on the claims from the Tigers. 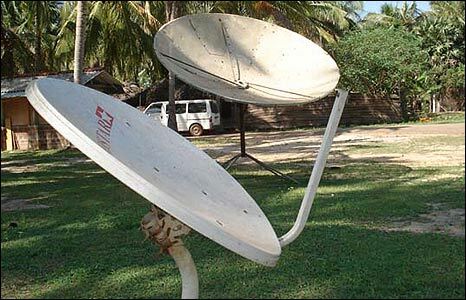 Evidence of the high-tech resources for which the rebels are renowned was also discovered, including satellite technology which the leadership is believed to have used to contact the outside world. 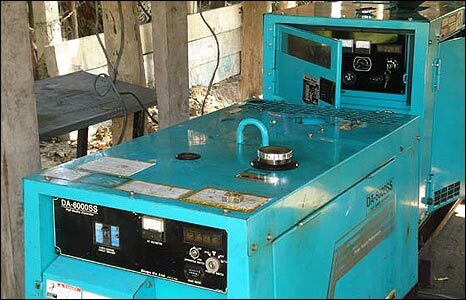 Medical experts in London told the BBC that this device is a medical centrifuge, used for separating substances of different densities by using centrifugal force. 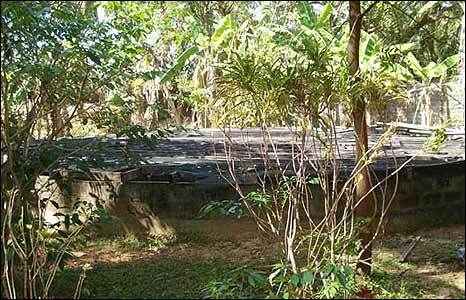 There was not much evidence of recreational activity at the compound. 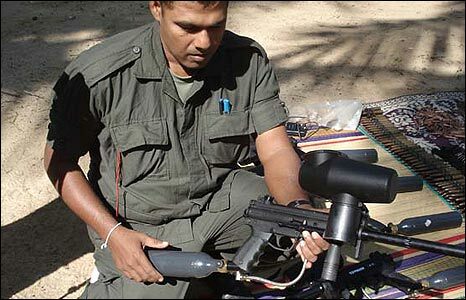 Even this paint gun was used for military training purposes, it is suspected. 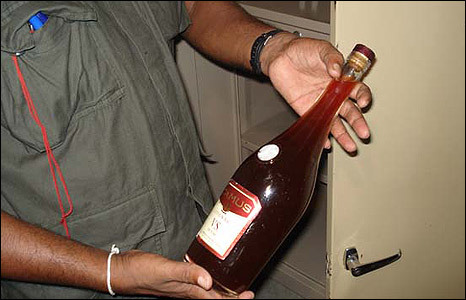 But even disciplined military units such as the Tamil Tigers may occasionally have time to relax, as this bottle of cognac suggests.